CARFAX One-Owner. Clean CARFAX. **INCLUDES WARRANTY**, **4 WHEEL DRIVE**, **MOONROOF SUNROOF**, **LEATHER INTERIOR**, **GOOD BRAKES**, **NEW TIRES**, AWD. AWD Priced below KBB Fair Purchase Price! Odometer is 7341 miles below market average! K. 21/28 City/Highway MPG Reviews: * Standout styling, class-leading fuel economy and a robust technology package are three reasons to include the new Escape on your small-SUV shopping list. Source: KBB.com * Good performance and fuel efficiency; many high-tech features; agile handling; high-quality cabin; comfortable seating. 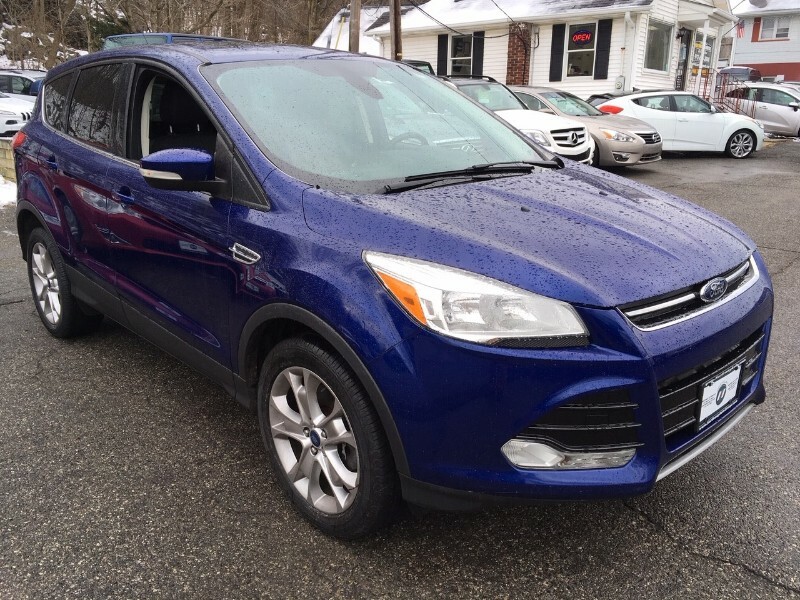 Source: Edmunds Awards: * Ward's 10 Best Engines * 2013 KBB.com Brand Image Awards This 2013 Ford Escape SEL will not make it to the weekend!! CALL NOW to reserve your test drive Appointment!! (973) 663-3800.